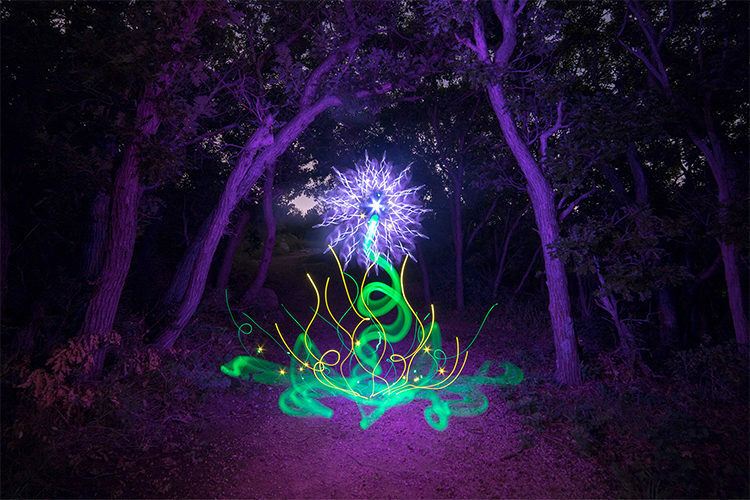 Hi everyone, my name is Jason Page and I am a Light Painter. 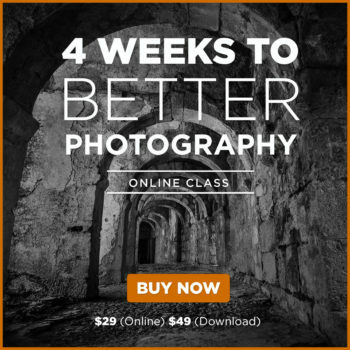 This is my second time having an opportunity to share some of my work with the Digital Photo Mentor family, so I want to say thank you again very much for having me back! In my last article, I shared a form of kinetic light painting where the camera was moved in conjunction with the ambient light of a sunset sky to create “Pyramids in the Sky“. This time I am going to share with you a new light painting technique that you can use after night has fallen to create Illuminated flowers in the darkness! 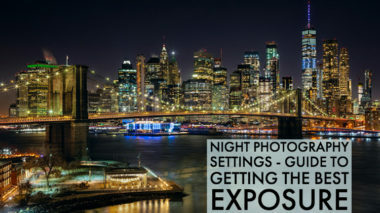 In case you are not that familiar with light painting there are three basic techniques. Kinetic Light Painting: This first technique is where the camera moves to create the color and design like in the Pyramids in the Sky article. 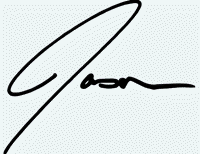 Light Drawing: This second technique is where the light source itself is seen by the camera and is used as a pen to draw. 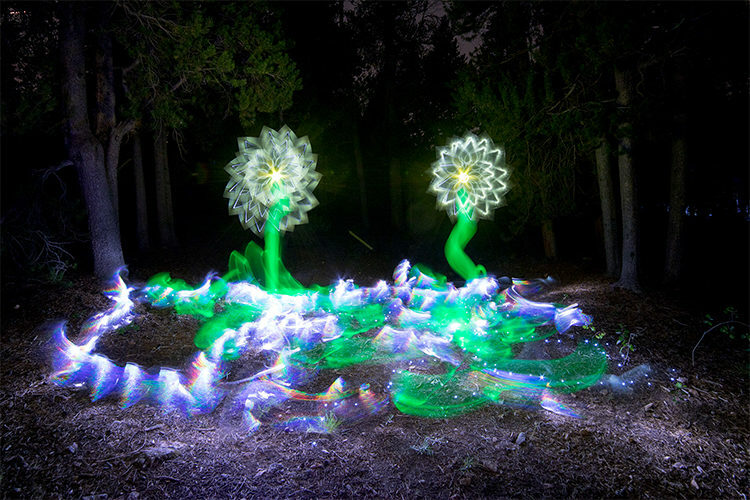 Light Painting: Finally, the third technique is where a projected light from a handheld light source is used to illuminate a scene. 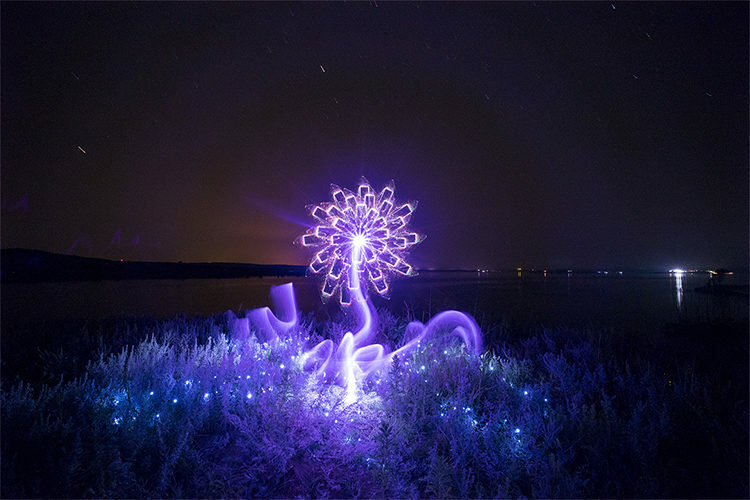 The flower technique in the video tutorial below is a combination of the light drawing and light painting techniques. Here are a few examples of images I created using the technique from the video tutorial. Remember flowers donʼt have to be perfect, I think they actually come out a little better when they are imperfect. The beauty of light painting is that there is no right or wrong or good or bad, it’s just about having fun and letting your imagination run wild. 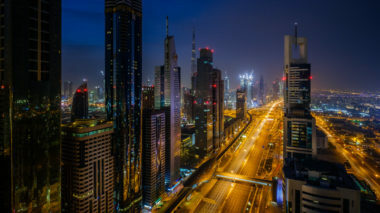 Editors Note: For more information about shooting in the dark, check out our entire Night Photography section here on this site. If you have any questions or you would like to see more of my work you can find me on at the links below. Thank you again for the chance to share my work with you I hope you find some inspiration and will give this light painting technique a try! 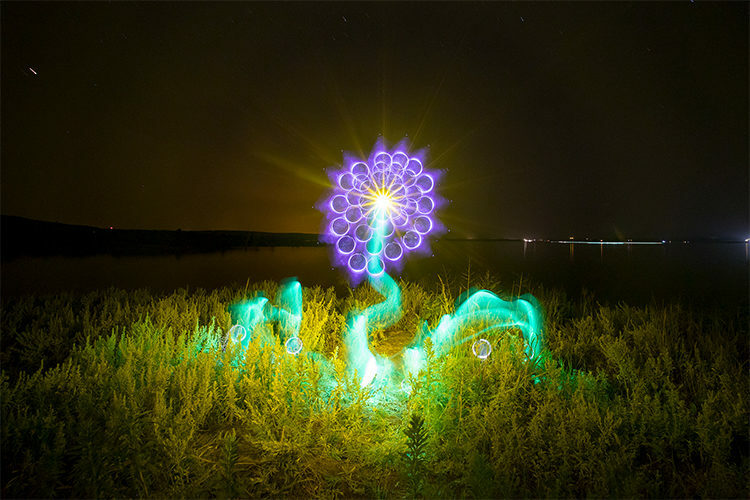 Jason Page is a light painter. 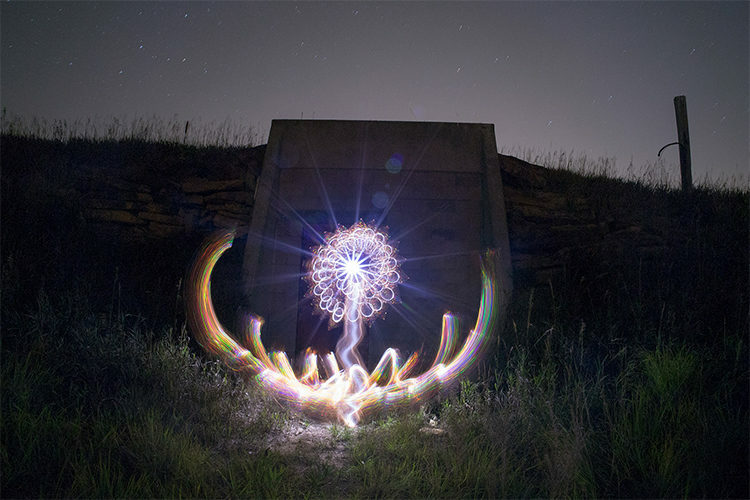 He creates images in almost total darkness. He works in a 3-dimensional space and paints with light just as a traditional painter would with oils or acrylics, except his medium IS light. 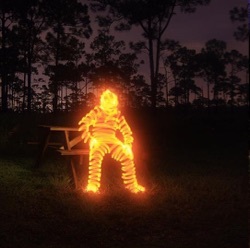 To capture his light painting work he uses a photographic technique know as long exposure photography – he opens the shutter for an extended period of time and uses various light sources to create color and designs within the frame. There is no photo editing used to create anything see in his images! 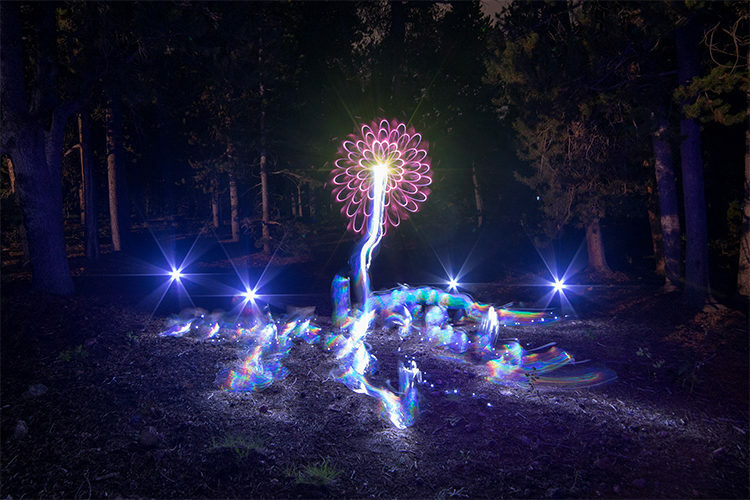 All of his light painted images are created in real time and captured to the camera in one single photographic frame. 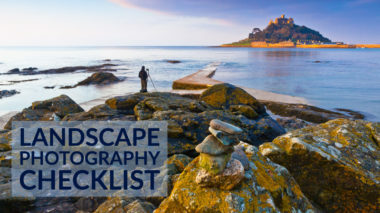 His personal website is Jason Page, he also the founder of Light Painting Photography a website for the promotion and progression of light painting photography. See more of his work or connect with him on YouTube, Facebook or Instagram.